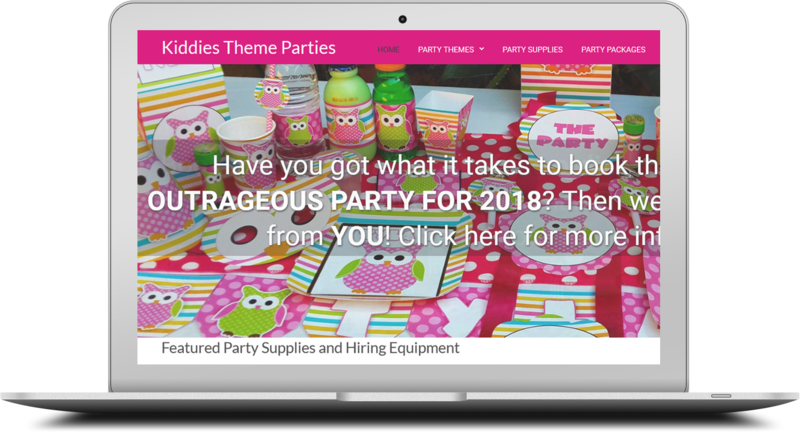 Kiddies Theme Parties offer a vast range of party supplies and services and also need to update their website on a weekly basis. We therefore decided to design their website using a Content Management System so that they can easily maintain their own content. We also provided training to their staff in order to keep the website up to date. We have also been doing extensive online marketing for this client over the years and they now boast impressive Google search rankings. Please contact us for a free evaluation on your current website. We are so confident in our web design team that you only have to pay us once your website is done and if you are entirely happy with your website. Now show us any other web design company willing to do that! Contact us today for a free quote on redesigning your website. Copyright © 2019. TM4Y Web Design and Web Marketing.